I first met Hannah when she was a puppy. She got quite sick and it looked pretty bad for the little girl for awhile. She then got better. Much, much better and was sent to obedience school. Because she’s so friendly and happy she’s used to being the belle of the ball. However, when she meets Shimmer out on the walk, they don’t have much to do with one another. Divas be divas. 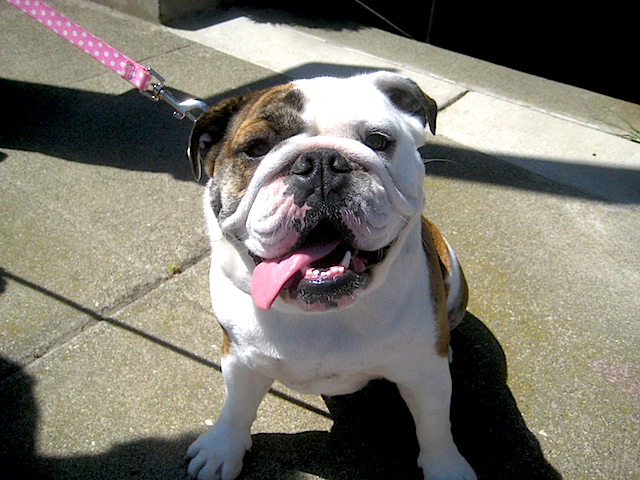 This entry was posted in Dogs we meet, Photography and tagged diva, dog, english bulldog, funny, obedience school, photography, postaday. Bookmark the permalink.